Teleflora's Sparkling Beauty Bouquet - by Flowers Of Canterbury, Inc. 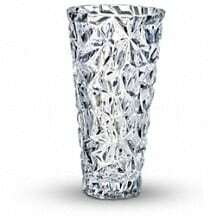 Deliver pure passion! 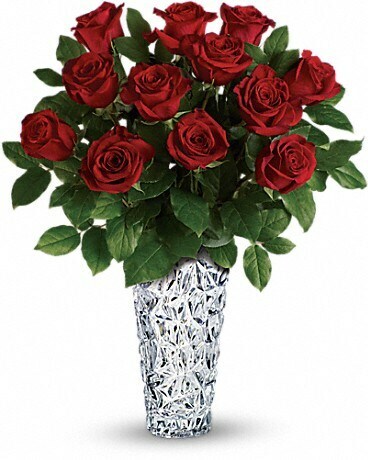 This striking bouquet of a dozen and a half, long stem red roses arranged in a exquisite sparkling glass vase is the ultimate gift of love. Deliver pure passion! 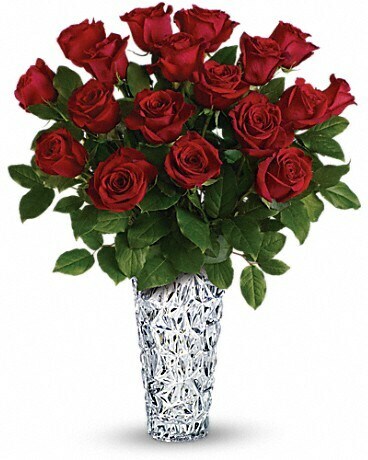 This striking bouquet of two dozen, long stem red roses arranged in a exquisite sparkling glass vase is the ultimate gift of love.